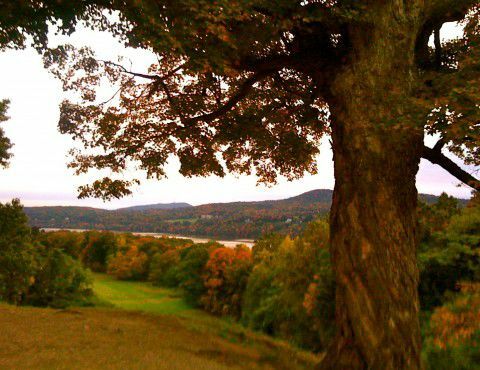 Heidi Siefkas was a happily married, globetrotting professional who seemingly had it all—until a tree limb in New York’s Hudson River Valley struck her down, breaking her neck and leaving her unconscious. Suddenly, life as she knew it stopped. She lost her independence. She lost her career. She watched her marriage disintegrate as she confronted a trail of devastating lies about her husband’s double life. She had lost all that mattered, but she was a survivor. She fought to restore her health, repair her broken heart, and rebuild herself. Along the way, she gained clarity about her core values, ultimately coming to a deeper understanding of what it means to have it all. 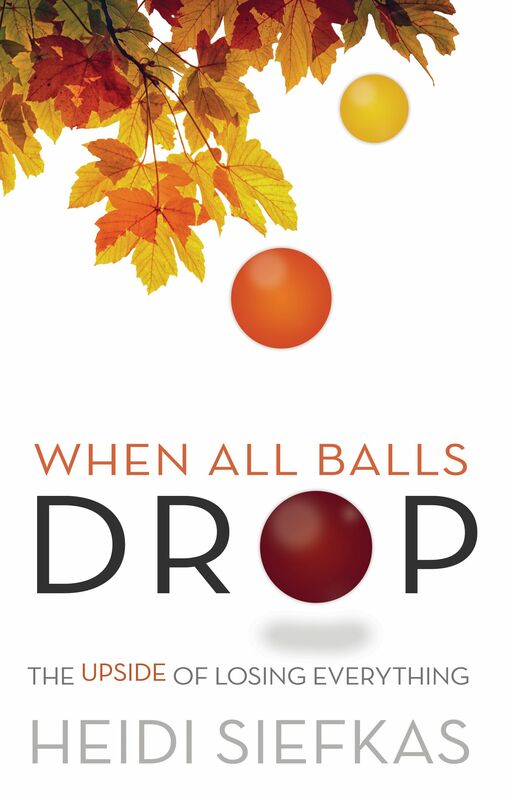 Heidi’s most recent book, When All Balls Drop, shows us how it’s possible to look up in spite of pain, deceit, and loss. Can you tell us how the title ties in with the book and your story? At the time, I was juggling a successful career, marriage, home ownership, healthy, active lifestyle, family, and friends. I was so busy I didn’t take into account my life’s path. Was I happy? Was this what I wanted? The book contains three underlying themes: health, love and career. Can you tell us a little about each? Undeniably all are important to happiness and having it all. I’ll talk about all separately, but in my story, all three dramatically changed and simultaneously that fall. Health: In a split second, my health and possible recovery was in question. I spent the following nine-months physically healing from a broken neck while wearing an immobilization back and neck brace. I gradually gained my freedom by weaning myself away for my protective cage. Up to that point in my life, I had not had a broken bone. I was active and adventurous. Just the day before, I had hiked in the Catskills and climbed a fire tower. I couldn’t believe that by taking out the trash, such a mundane and seemingly safe task, that I was in a heck of a mess. However, through my experience, I learned quickly why health should be everyone’s number one priority. There is great wisdom behind the countless numbers of cultures that toast with “salud” or “to your health.” I’m forever grateful for the health I regained; thus, I strive to maintain my active, healthy lifestyle. Love: I discuss love and relationships in detail throughout my memoir. I was so fortunate to have a supportive clan of friends, peers, and family from all walks of life and across the globe whom had my back during my full-blown life catastrophe. However, on the flip side of relationships, I do share my painful discovery of my husband’s betrayal and double life. This major piece of my story was kept a secret from my family and friends until I felt strong enough to disclose what no wife, girlfriend, or partner wants to tell. While recovering physically from my accident took patience and courage, I not only needed to emotionally heal myself from the trauma of breaking my neck, but also in coming to terms with a failed marriage. Could I forgive a con man? Career: As I mentioned, I was juggling it all while traveling to tourism industry expositions around the globe. 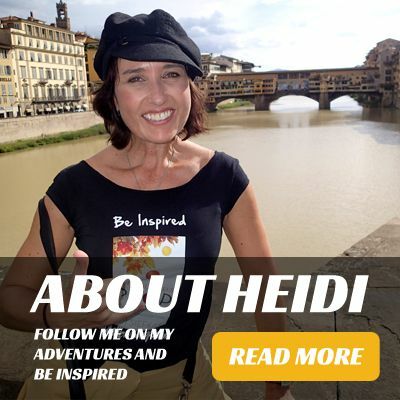 I quickly climbed up the ladder of an international travel technology company in marketing and pr, leading a team of dozens of communications professionals and contractors. I excelled at my position and identified with the role. When I was unable to physically return to my job, the company forced my resignation. I lost my career. At the time, I didn’t know it was an opportunity to reevaluate what I really wanted to do with my talents. Did I want to work for someone else? Could I follow my passions? 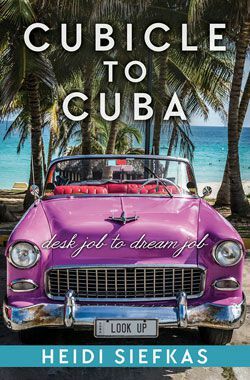 Could I really do what I love: write, inspire, travel, and learn. To read full article, interview, and excerpt, click here.